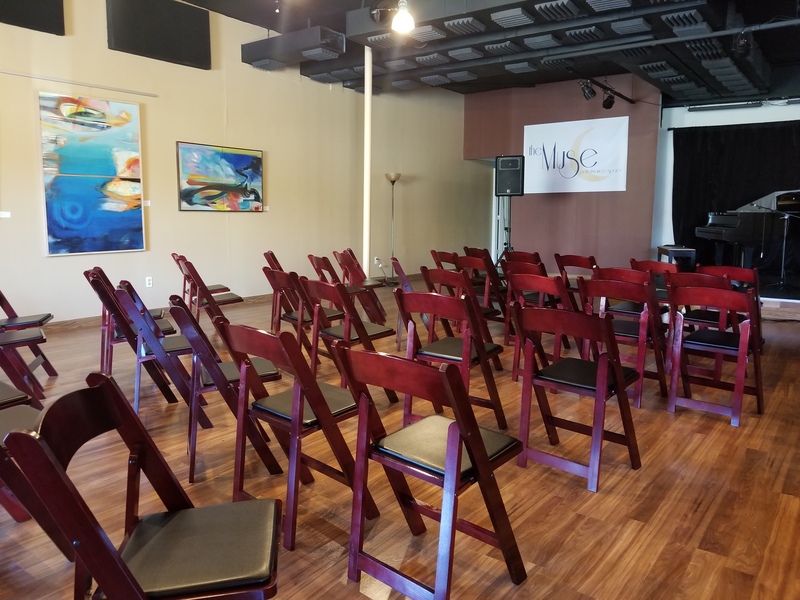 Renting the Muse Performance Space will create a memorable time for your event. This could be a music or dance recital. The chairs can be moved to provide a wonderful dance floor. The six foot Yamaha Grand piano is a wonderful sounding instrument to will augment any musical situation. The professional lights can be adjusted in a multitude of colors and directions to highlight all or individuals. 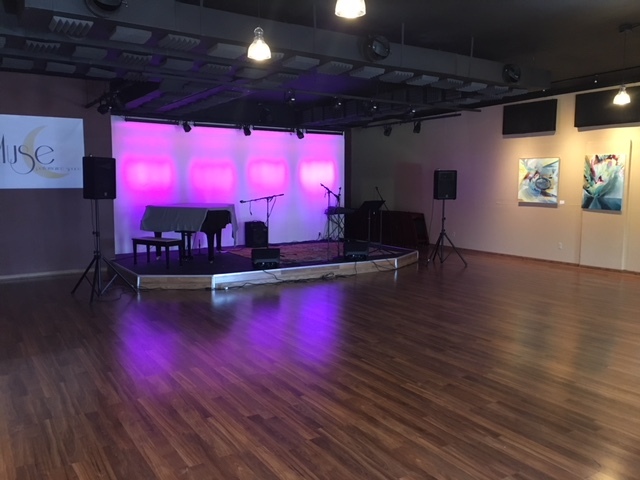 The rental of the Muse Performance Space is $75.00/hour Hourly price will be adjusted for rental over 4 hours. 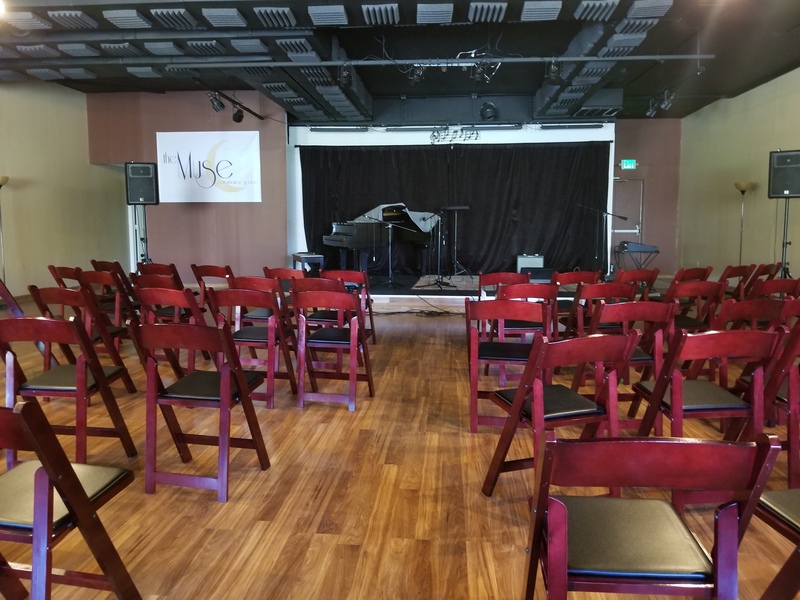 A music performance space with great acoustics, equipment, plenty of room and seats is available for your next concert. Dance? Piano? Instrumental or voice? 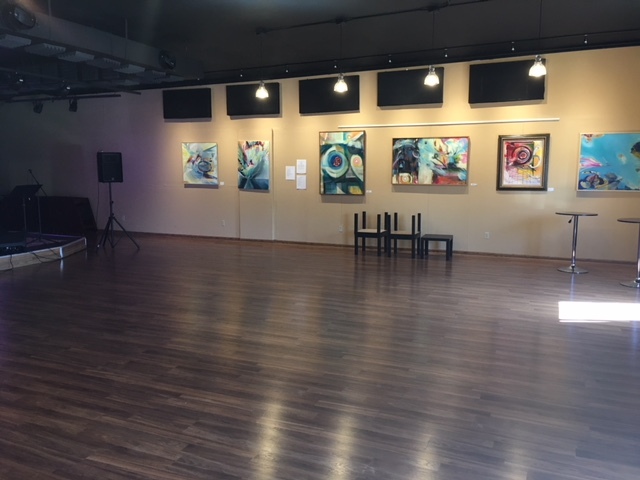 Muse Performance space is available to show off your hard work! Congratulations! Need an inexpensive place for your wedding reception? Look no further! Let Muse Performance space be a part of your very special day. Need a place for your birthday party or family get-together? 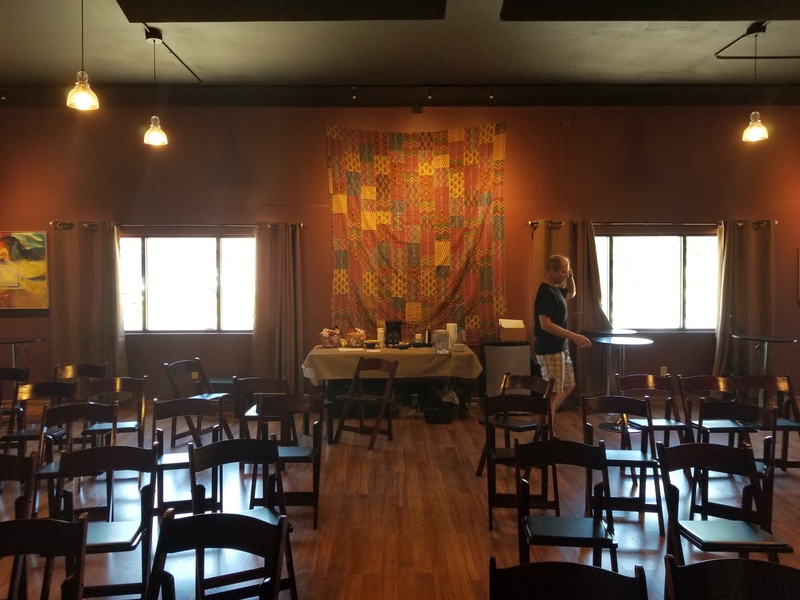 Muse Performance Space is a great place if your dining room is too small. Quiet, comfortable, pleasant surroundings make for a great business meeting. Getting your sales staff together? Need to get your department on the same page? Come meet at Muse Performance Space. 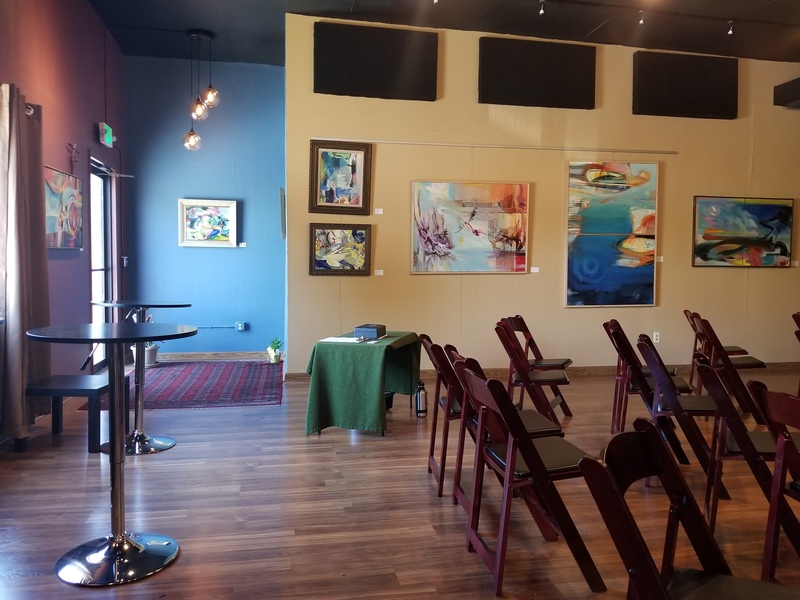 With plenty of space and great visibility from any part of the room, Muse Performance Space is the perfect place to hold classes or training. Selling to a group? Need to pitch an idea? 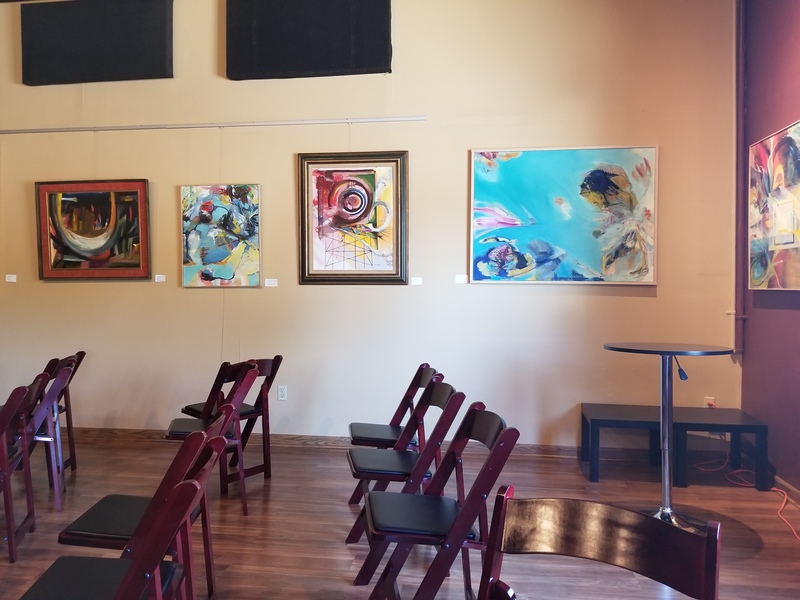 Muse Performance Space gives you the room and surroundings to help ensure success.